Most know about the first lunar landing, but few probably know about the scientist, Margaret Hamilton, who had a huge part in its success. As a girl, Margaret studied hard, asked questions, and found solutions to problems. Margaret discovered computers, taught herself to code, and got a job at NASA. Her expertise in coding is what helped the first spacecraft land safely on the moon. This is an interesting biography told with just enough detail to make it accessible and interesting for elementary readers. Margaret's story shows the importance of hard work and problem solving. Arturo is determined to save his family's Cuban restaurant, which they've owned for many years in their Miami neighborhood, when a developer wants to take over the lease. He is also confused about his feelings for Carmen, an old friend who moves into his apartment complex. The author has created an interesting character in Arturo, but also in the characters who make up Arturo's large, close-knit family. This is a wonderful story of family, community, love, and courage. Olivia yearns for a better life. One in which she has more money, one in which her dad will be present, one in which her mother takes more responsibility for caring for her and her sister. In spite of this, Olivia does her best to do the right thing and take care of her family. 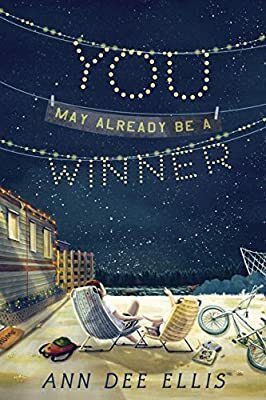 I had to read this book carefully because there are times that the story switches from what is presently happening to what is happening in Olivia's imagination. Olivia's strength and determination in the face of challenges will make you want to root for her and keep reading to find out if it all works out for her and her family. This is a sweet, hopeful story about family and community. Look for this book in July. Each book sounds good, Lisa. My granddaughters have been especially interested in space lately because we're traveling to see the eclipse in August, so Margaret and the Moon will be a perfect book to read together. Thank you! Definitely a good one to tie in with your trip! Margaret and the Moon sounds absolutely wonderful - we need more female STEM role models for young girls and women! Yes, I agree about needing more female STEM role models. I have Arturo in my pile for this summer! I really liked the picture book biography, I'm covering it in a few weeks in a Wednesday post! It's a great picture book biography. I think it's a good one to support what students are learning about coding. 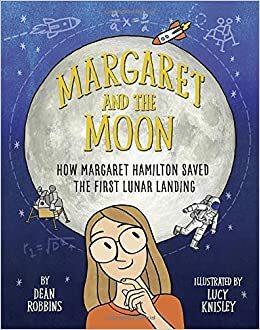 I'm looking forward to reading Margaret and the Moon: How Margaret Hamilton Saved the First Lunar Landing. These other two look good also. It's a great biography. Colorful illustrations, too, that I think will interest students. Linda is right, each book sounds wonderful. I'm putting them all on my fast growing summer reading list. So excited to read Margaret and the Moon - The books about women in science, the better! Epic Fail sounds like a book that my kids and I will love--I cannot wait to get it into some of their hands. The others sounds great also! 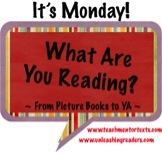 Thank you for sharing :) and happy reading this week! I enjoyed Margaret and the Moon and she was one of the subjects in Good Night Stories for Rebel Girls.